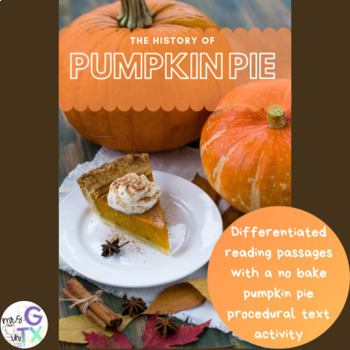 Differentiated reading passages about the history of the pumpkin pie. 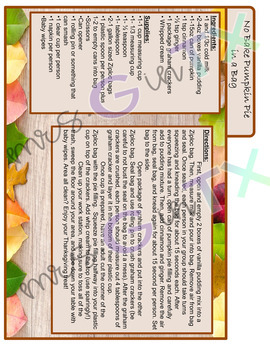 Includes directions and procedural text (recipe) for students to follow to create their own pumpkin pie in the classroom. 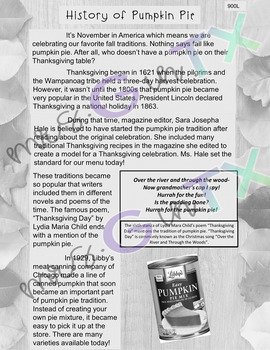 This is a fun Thanksgiving and fall activity!